The Augustusburg castle located in North Rhine-Westphalia near Cologne was valued by UNESCO as the world heritage. This decision was made in 1984 and drew attention to the castle’s eventful and rich history. The history of the Augustusburg castle is worth studying, and its architecture, construction, interior and surroundings serve as colorful evidences. The castle building was initiated by the Cologne archbishop Clemens Augustus ruling in the early and middle 18th century. Augustus’ choice for the construction place was driven by two reasons – first, it was the place of the ruined medieval castle; second, this place had the excellent hunting opportunities and fascinating views. 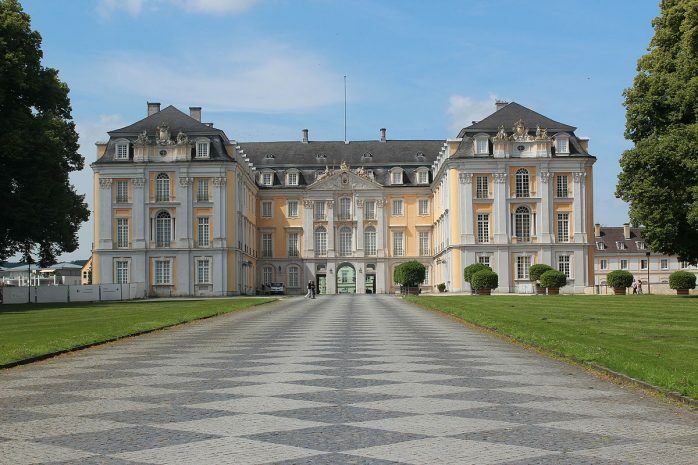 Augustusburg castle, like other numerous castles in Germany, obtained the mix of architectural styles but prevailing features belonged to the French baroque style which was aimed to demonstrate the power and magnificence of the Cologne rulers. Several architects were employed between 1825 and 1840 to complete the castle and their works’ stories could be the significant part of the German architecture history. The Augustusburg describers get used to give considerable credit to Balthazar Neumann – the author of the central staircase, and Carlo Carlone who painted the castle inside and left fascinating frescos on the staircase. The Augustusburg’s history obtained the castle’s heritage position due to active participation in the German history. For example, the castle’s background was greatly enriched by a number of persons who created the world history – Napoleon, Kaiser Wilhelm IV etc. 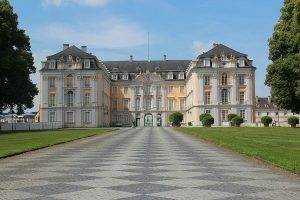 The royal background initiated the idea to keep the castle as the residence of the German rulers, and now Augustusburg serves as the government seat. Despite several captures and numerous owners, the Augustusburg royal and majestic atmosphere did not allow its great inhabitants to destroy or re-construct either interior or exterior landscapes. The honorable beauty of the marble staircase, colorful paintings and frescoes and luxurious French gardens can be still admired by the Augustusburg’s visitors.